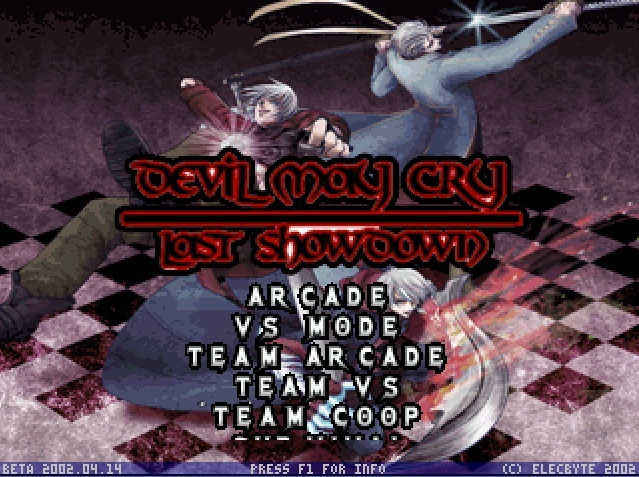 Devil May Cry - Last Showdown is a fan-made game made in MUGEN. This is just the first version, more changes shall be added soon and the link to the download will then be changed. Bio: Dante is a cool-headed demon who is skilled with both, swords and guns. His fighting style consists of Swordplay and Gunslingering both. Bio: Vergil is the twin brother of Dante and has a serious personality. He uses a Katana named Yamato and Beowulf for combat. He believes in the spirit of a swordsman and believes that guns are not necessary to be weld by a swordsman. Bio: Nero is said to be the "descendent of Sparda's blood". He possesses an arm with superhuman strength, called Devil Bringer. His fighting style is similar to that of Dante's, as he uses a sword (Red Queen) and a gun (Blue Rose).
. You get to play as one of the three devil trio and finish your enemy off.
. The battles takes place atop the Tower Temen-Ni-Gru (This isn't really a feature, I know).
. 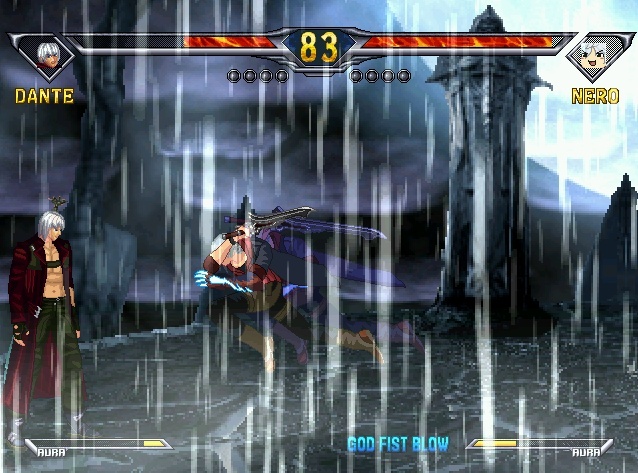 Deliver non-stopping combos using your swords and beat 'em up in the air.
. Each character has it's own move set, thus has his own combos and super finishes. Q. Only one stage? What's up with that? A. I was trying to keep the size of the game small, so I ended up not adding more than one stage. But the future updates might include new stages. Q. Is there a probability of a virus in the MUGEN client? A. None, the files have been scanned and are perfectly fine. Q. Will more DMC characters be added in the future? A. No, the game's main idea was "a showdown between Dante, Vergil and Nero". So, no more characters will be added. I'll change the character versions if new ones will be up though. |05.06.11| Added the download file in parts so that people who have slow internet can download it. If you like DMCLS, then please support it by putting this userbar in your signature. 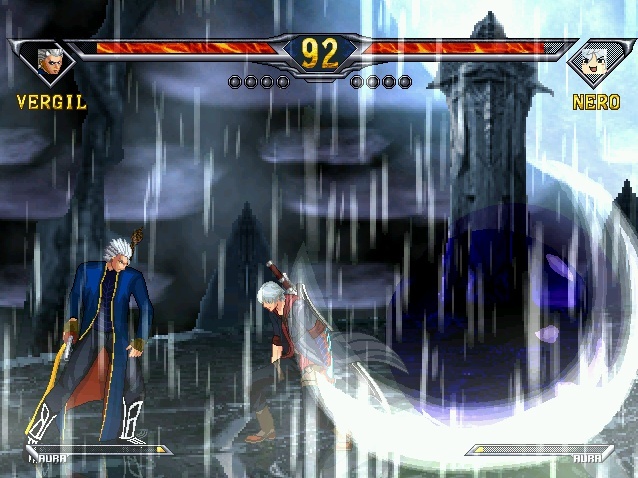 Devil May Cry and it's characters are created by Capcom. If you like this fan game, then please support the official releases by buying the games. Criticism is supported, so please play the game and tell me what needs changing and how was the game?